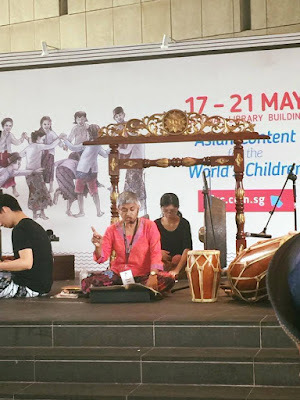 The country of focus this year was Indonesia and events at the National Library of Singapore was as multifarious as this amazing archipelago. The guest of honour, however, was the distinguished PJ Lynch, the na nOg or Children's Laureate of Ireland. In his keynote address, he made the point that a small country like Ireland found a way to stand out in the world through literature... and also thanks to the rock band, U2. 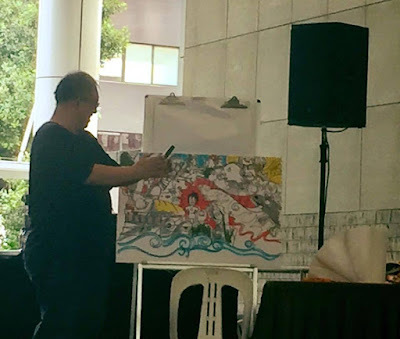 Also present was the noted illustrator, James Mayhew (I honestly thought he was related to Jonathon Mayhew, the YA writer from UK) who came as a speaker and participated in the dueling artist event as well. 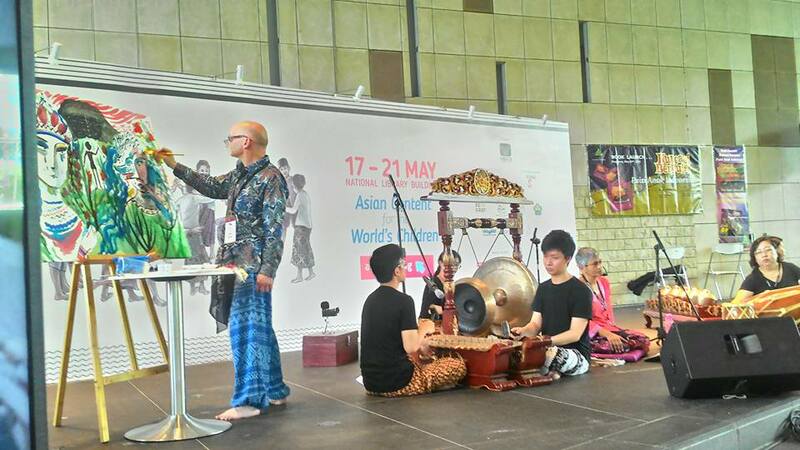 James Mayhew illustrates the story as recounted by Rosemarie Somaiah, to the accompaniment of Gamelan music. I can't deny that AFCC 2017 has been a momentous event for me, not least because I presented two papers, Folklore Finesse and Hidden Elements, which I will talk about later. First and foremost it was a great opportunity to network. 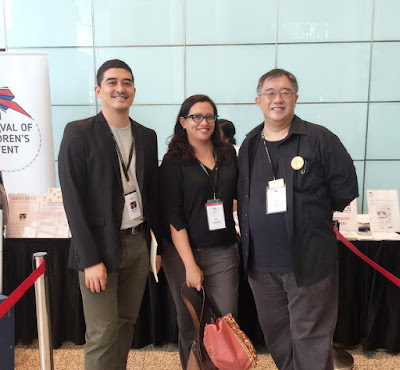 Among the people who were there: Heidi Shamsuddin and Teoh Choon Ean, two prominent children's writers from Malaysia. Heidi was there as a speaker and also to launch her new books, published by her fledgling company, Paper Moon; while Choon Ean was there to launch her latest books. Another surprise was bumping into Quah Sze Mei, General Manager and Lilian Ng, Marketing Executive, both from MPH Publishing (Malaysia). Interesting bit of news from Sze Mei was the fact that MPH Malaysia has bought over MPH Singapore. The year before, we heard that MPH also bought over Pelanduk, one of the oldest publishing houses in Malaysia. 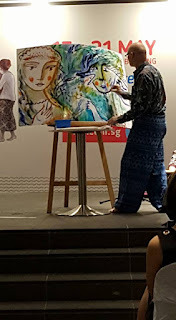 I also met Emila Yusof on the first night. 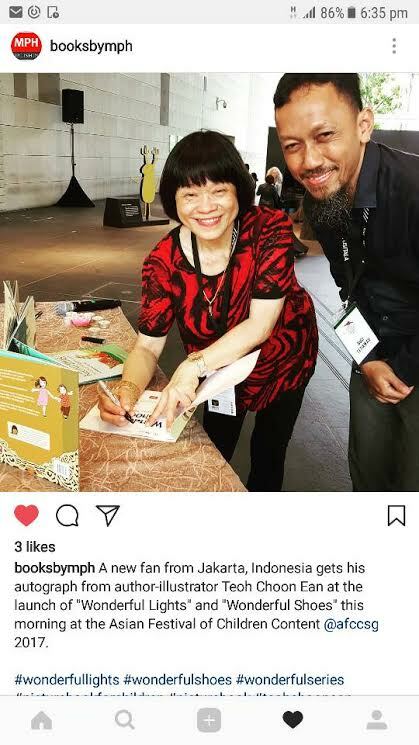 Her gorgeous picture book, How Rooster Became the Zodiac Animal was shortlisted for the Scholastic Asia Picture Book Prize. The prize however, went to a book called, The Little Durian Tree, written and illustrated by a group of Singaporean college students, much to everyone's surprise. Tan Vay Fern and I also made a submission, entitled, Meng the Tiger, but alas we were not even shortlisted. Apparently, there were around 130 entries this year and competition was really stiff. Among the Singaporeans, were Kenneth Quek, Festival Director and his mother, Susannah Goho, a noted Malaysian children's writer and illustrator. Also the talented storyteller/writer Rosemarie Somiah, the moderator for Folklore Finesse and Darel Seow, the moderator for Hidden Elements. Dave Liew's masterpiece. 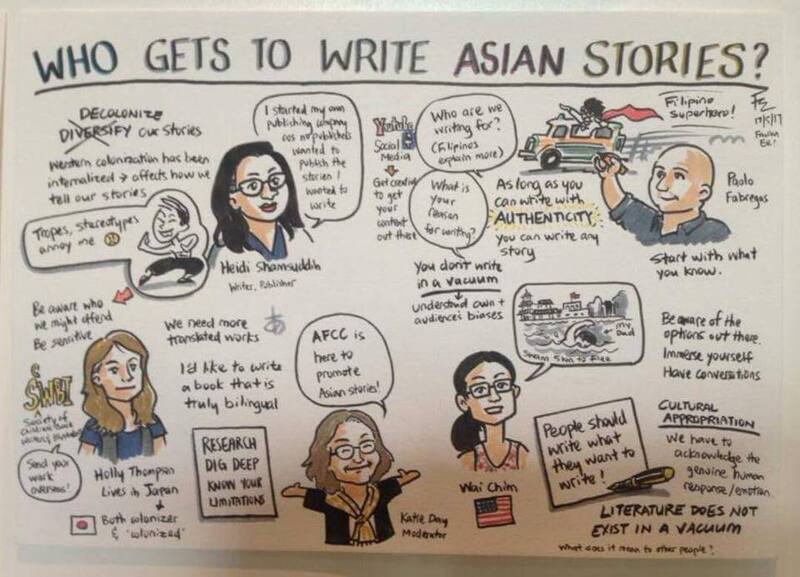 These illustrations will be worth a lot at some future time! Incidentally, Irwan Junaidy, from The R&D Studio, an outfit specialising in VFX and animation also attended AFCC 2017. Apparently, R&D Studio is now a sister company of PaperMoon and they are pitching to Nickelodeon. Wow! Wish them luck. Fantastic if they pull it off. 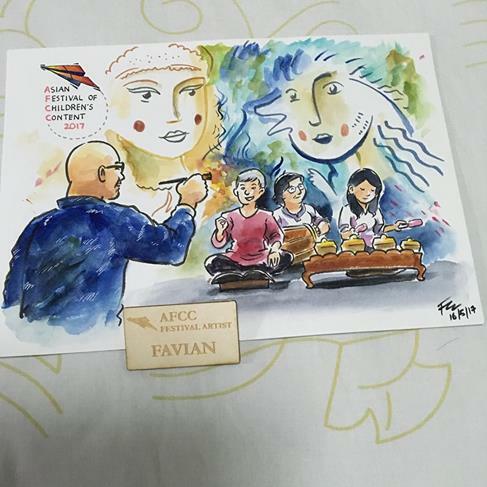 capture the scenes at AFCC 2017. I also said farewell to Emma Nicholson, a writer/illustrator, whom I first met at the Bookaroo Children's Literature Festival in Kuching in 2016. Emma is returning to the UK in July. Singapore author Don Bosco had a book launch for his latest books: The Blade Quest Series, which promises to be a huge hit! 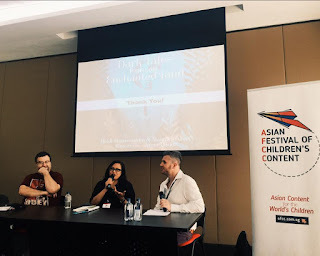 Last but not least, I managed to have a chat with Sayoni Basu, Publisher at Duckbill Books, someone I first met all the way back at AFCC 2012 (my very first AFCC.) 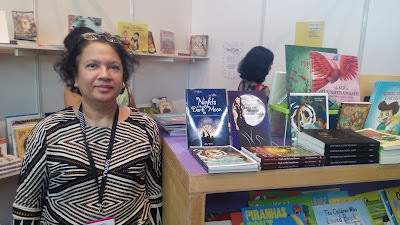 I think she had just started her publishing company with Anushka Ravishankar then. Anyway, I've watched with amazement as Duckbill grew into a leading publisher of children's books in India. 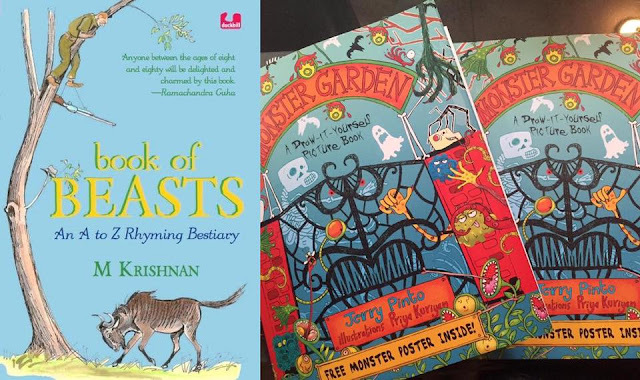 The eye-catching books published by Duckbill. They were on sale at Closetful of Books as well. Among the participants who introduced themselves to me were: Sierra Mae Paraan, an Education Specialist, Author and Children Storybook Researcher from the Philippines; Srividya Venkat, a Children's Writer, Storyteller and Blogger from India & Singapore, Fanny Santoso, an illustrator from Indonesia; Amelia Jaishree, a Lecturer from Ngee Ann Polytechnic, Singapore; and Afiyon Kristiyan and Veronica Indrayati from Sekolah Terpadu Pahoa from Indonesia. 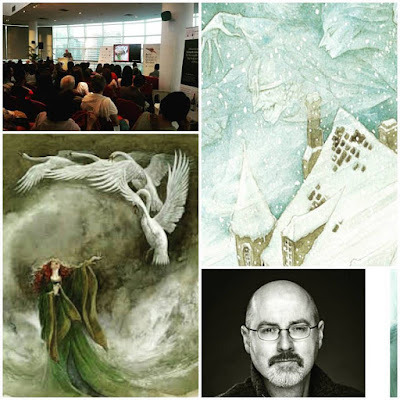 Folklore Finesse: Retelling and Synthesis of a Contemporary or an Original Story based on folktale(s). 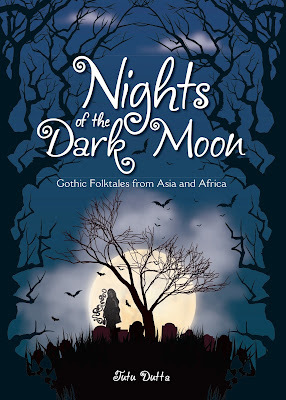 Or How to incorporate folklore into the plot of your original story? Or use a storyline from an ancient folktale and turn it into a contemporary story? This paper was not all that difficult to put together because it was more or less based on a paper I had presented much earlier in 2013. I just had to update and refine it. In fact, the distance afforded by time gave me a clearer picture of what I had wanted to bring across. 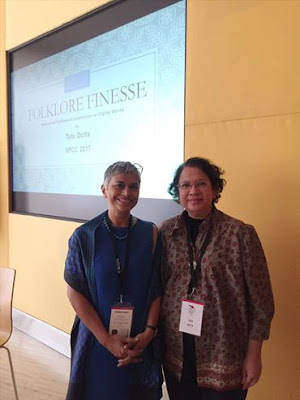 The session was moderated by Rosemarie Somaiah, who brought her own insights into the discussions. 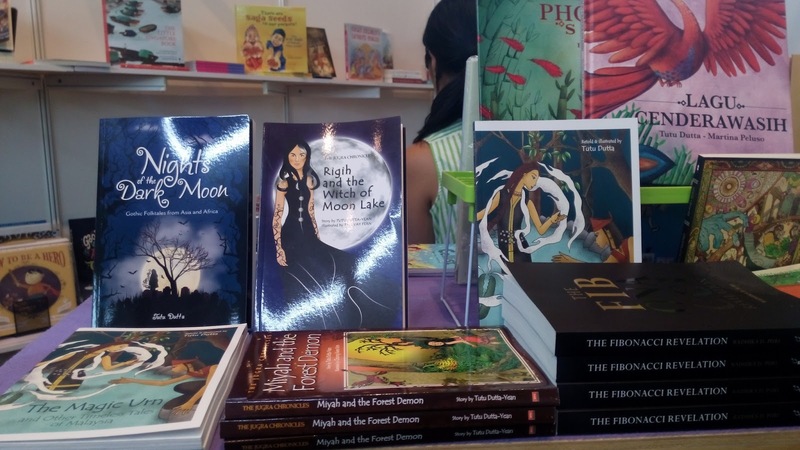 Hide-and-Seek: Hidden Elements from Asian Folklore in Children’s Literature and Popular Culture. In this paper, I talked about Dragons, Pheonii, Nagas and Fox Demons! This paper required somewhat more research but then I've done quite a bit of it in the past as background research for my books on folktales. 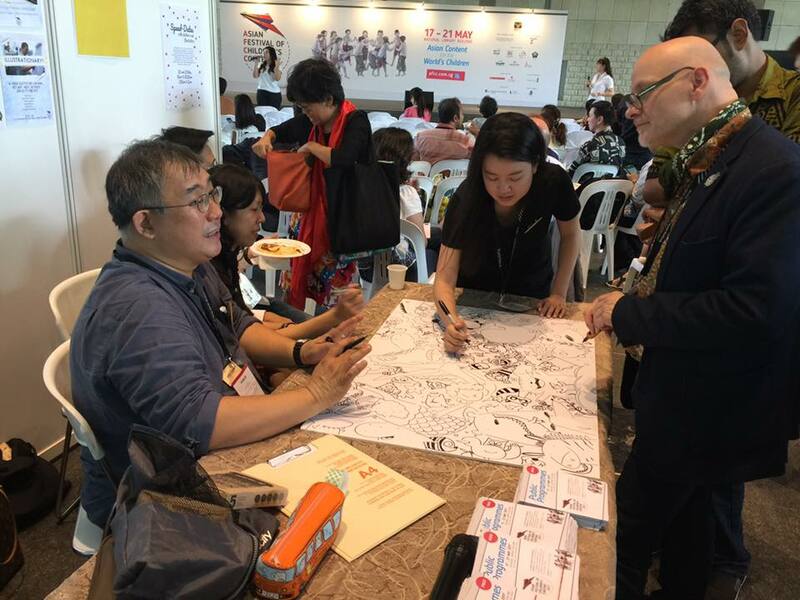 This session was moderated by Darel Seow, who was brought his interest in animals into the discussion. Incredible! Seven of my books were on sale at Closetful of Books! 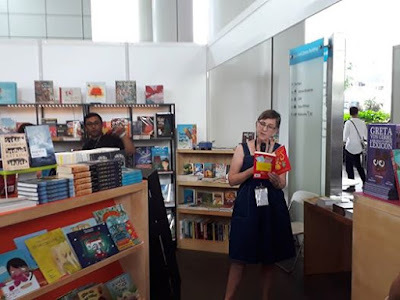 And of course, I must not forget to mention, Denise from Closetful of Books, who is the most amazing bookseller I've ever met. 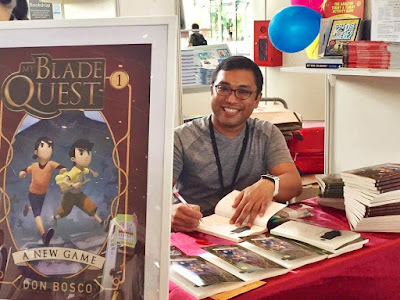 Finally, many thanks to the Singapore Book Council for inviting me as a speaker at AFCC 2017!